can you either tell me where i can learn about arraylists or show me an example of how i could write 7 if statements (or call a method 7 times). Danny Alphones wrote: can you either tell me where i can learn about arraylists or show me an example of how i could write 7 if statements (or call a method 7 times). Henry Wong how would i use an arraylists to get the greatest and least out of 7 numbers i did not really understand the concept. I'm not Henry, but let's break it down. The first thing is to put all seven numbers in the ArrayList. Can you post how you do that? Then you can rewrite the methods. To make the tasks simpler, can you write a method that takes an ArrayList parameter? How about one that returns the first element of the ArrayList? i have never used arraylists ever so i do not know how to do even that. Which means it should only loop once. What do you think would be good to set i to initially so it runs more than once? 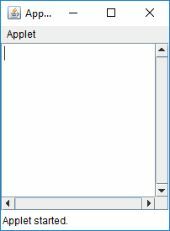 i dont think i can use the scanner because i am using a old version of eclipse and java so how would i do it other wise. Danny Alphones wrote: i dont think i can use the scanner because i am using a old version of eclipse and java so how would i do it other wise. the only reason i am using an old version is that i am learning from online free lectures on the Stanford website and it requires an old version of the two. Danny Alphones wrote: the only reason i am using an old version is that i am learning from online free lectures on the Stanford website and it requires an old version of the two. Why don't you follow the latest tutorial ? Jeanne Boyarsky wrote: . . . it should only loop once. . . .
Are you quite sure about that? Please check carefully. Scanner was introduced in 2004. Nobody ought to use a version of Java® so old that it doesn&apos;t have Scanner. If the tutorial you are using is old enough not to mention Scanner it shou‍ld not be used either. That looks mistaken; I am pretty sure the first class name will fail to compile after import. Just because you can get away with imports ending * doesn&apos;t make them a good thing, anyway. Sca ctrl-space and Eclipse will give you a dropdown list. That will have java.util.Scanner near its top, so you click (or maybe double‑click) Scanner and Eclipse will insert the import declaration for you in the correct place. You will not need to think about imports at all. I think you have reached the stage where you need to resort to desperate measures. 1: Get rid of the Stanford package and use ordinary Java® like everybody else. We cannot test your code because we lack the requisite .jar. 2: Delete the entire class. I think you are going to have to start again. 3: Turn your computer off. Your code looks as if you were guessing. You can make 1,000,000 guesses and as long as they are all different, there is a good chance that one will be correct. Or you can think about your application and plan it and get it to work first time. You also need to be more careful what you are thinking about. That is incorrect. Look carefully at the operators. Learn the basic form of a for loop, and work out what the different numbers on the left and in the middle shou‍ld be. 4: Write down on paper what you are going to do, and make the stages simpler and simpler. When you have got everything very simple, it will become easier to turn into code. I believe your other threa‍d is so simlar to this one that I ought to merge the two. how to fix thus error message "this method must return a result of type int"